The wealth maximization objective is almost universally accepted the goal of a firm. Maximization of profit used to be the main aim of a business and financial management till the concept of wealth maximization came into being. According to this objective, the managers should take decisions that maximize the shareholders’ wealth. In other words, it is to make the shareholders as rich as possible. Wealth maximization is the concept of increasing the value of a business in order to increase the value of the shares held by stockholders. Shareholders’ wealth is maximized when a decision generates net present value. A wealth of a shareholder maximizes when the net worth of a company maximizes. The net present value is the difference between present value of the benefits of a project and present value of its costs. A decision that has a positive net present value creates wealth for shareholders and a decision that has a negative net present value destroys wealth of shareholders. Therefore, only those projects which have positive net present value should be accepted. For example, suppose a firm invests $ 10,000 in a project that generates net cash flow $ 3,000 each year for five years. If the firm requires 10% return on its capital, the net present value of the project is $ 1,372. Project like this should be accepted because the net present value accruing from the project belongs to shareholders, hence increases their wealth. Investors pay higher price for shares of a company which undertakes projects with positive net present value. As a result, wealth maximization is reflected in the market price of shares. Based on this logic, stock price maximization is equivalent to shareholders wealth maximization. It is because, market price of firm’s stock takes into account present and expected earnings per share; the timing, duration, and risk of these earnings; the dividend policy of the firm; and other factors that bear on the market price of the stock. 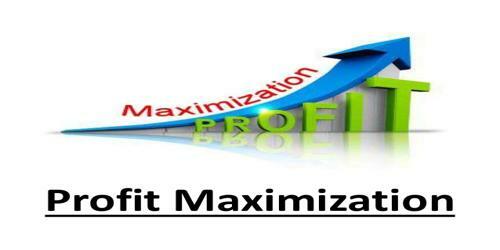 Stock price maximization is considered superior goal to profit maximization goal. A company may minimize its investment in safety equipment in order to save cash, thereby putting workers at risk. A company may continually pit suppliers against each other in the unmitigated pursuit of the lowest possible parts prices, resulting in some suppliers going out of business. A company may only invest minimal amounts in pollution controls, resulting in environmental damage to the surrounding area.